Congratulations to Ian Hilgendorf, winner of last week's Friday Freebie, the big o' books (and a Blu-Ray DVD). 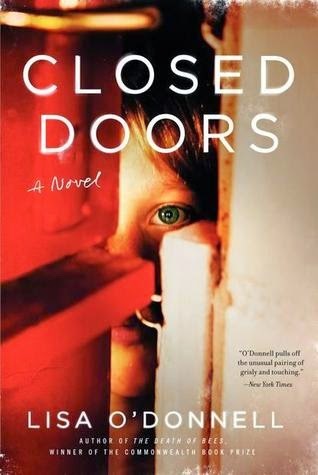 This week's book giveaway is a pair of recent hardback novels: Closed Doors by Lisa O'Donnell and Keep Your Friends Close by Paula Daly. Read on for more info about the books. In Closed Doors, a tense and brilliant tale from the national bestselling author of The Death of Bees, a young boy on a small Scottish island (where everyone knows everything about everyone else) discovers that a secret can be a dangerous thing. Eleven-year-old Michael Murray is the best at two things: hacky sack and keeping secrets. His family thinks he's too young to hear grown-up stuff, but he listens at doors--it's the only way to find out anything. And Michael's heard a secret, one that may explain the bruises on his mother's face. When the whispers at home and on the street become too loud to ignore, Michael begins to wonder if there is an even bigger secret he doesn't know about. Scared of what might happen if anyone finds out, and desperate for life to return to normal, Michael sets out to piece together the truth. But he also has to prepare for the upcoming talent show, keep an eye out for Dirty Alice--his arch nemesis from down the street--and avoid eating Granny's watery stew. Closed Doors is a vivid evocation of the fears and freedoms of childhood and a powerful tale of love, of the loss of innocence, and of the importance of family in difficult times. 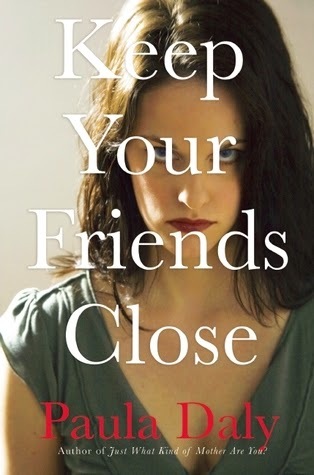 In Paula Daly's novel Keep Your Friends Close, Natty and Sean have a rock-solid marriage--with two daughters, a successful business, and a beautiful house, they are a model family. When their younger daughter falls ill on a school trip, Natty rushes to her side. Luckily, Natty's best friend from college, Eve, is visiting and offers to stay with Sean to lend a hand in the household. But Natty returns home to find that Eve has taken to family life a little too well: Sean has fallen in love with her. With no choice but to put on a brave face, Natty attempts to start anew--yet no matter how hard she tries to set herself upright, Eve is there to knock her down again. Then Natty receives a mysterious note that says Eve has done this before--more than once--and the consequences were fatal. On a mission to reveal Eve as a vindictive serial mistress, Natty must navigate through a treacherous maze of secrets and lies that threatens her life and the safety of her loved ones. Put FRIDAY FREEBIE in the e-mail subject line. One entry per person, please. Despite its name, the Friday Freebie runs all week long and remains open to entries until midnight on Dec. 18, at which time I’ll draw the winning name. I’ll announce the lucky reader on Dec. 19. If you’d like to join the mailing list for the once-a-week newsletter, simply add the words “Sign me up for the newsletter” in the body of your email. Your email address and other personal information will never be sold or given to a third party (except in those instances where the publisher requires a mailing address for sending Friday Freebie winners copies of the book).